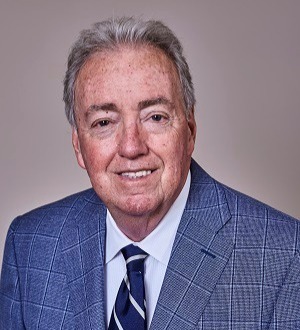 In a career spanning almost 50 years, Frank Donahue has distinguished himself, representing clients in some of the largest and most complex matrimonial cases statewide. He is trained as an Arbitrator by the American Academy of Matrimonial Lawyers. In addition to his trial work, Frank has a notable appellate practice. He has been counsel in at least 19 reported decisions, among which are several polestar cases in New Jersey family law. Matter of Baby M, Lepis v. Lepis, Brawer v. Brawer, Orgler v. Orgler, Aronson v. Aronson, Silvan v. Sylvan, Kronberg v. Kronberg, Piscopo v. Piscopo, Bowen v. Bowen, Rosen v. Rosen, Mayer v. Mayer, Lynn v. Lynn, Nochenson v. Nochenson, Garlinger v. Garlinger, Ducey v. Ducey and most recently, In the Matter of the Adoption of a Child By J.E.V. & D.G.V.. His arguments before the State Supreme Court in Crews v. Crews and Moriarty v. Bradt have set legal precedent for the matrimonial law community. Frank is a frequent lecturer for the New Jersey Institute of Continuing Legal Education, The American Trial Lawyers Association, and for state and local Bar Associations. He has been a guest lecturer at law schools, Court TV and Miller’s Court. In addition to articles for local publications, including the New Jersey Law Journal and the New Jersey Family Lawyer, Frank has been published in New Jersey Family Law Practice, Eighth Edition – Custody Chapter; Fair Share, The Matrimonial Law Monthly – “Celebrity Good Will”; and American Journal of Trial Advocacy – “Trying Equitable Distribution Can Be Trying”. Frank’s clients have included celebrities, athletes, corporate CEOs, business owners, professionals and, of course, their spouses.